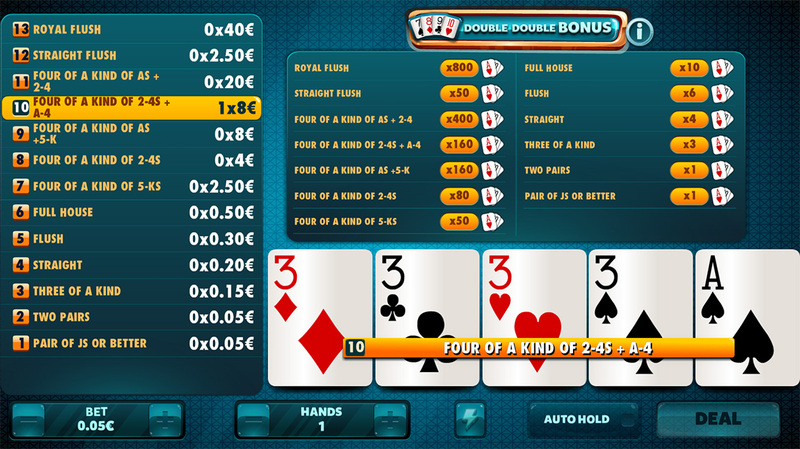 If you like the “Double bonus”, you will love this variant. 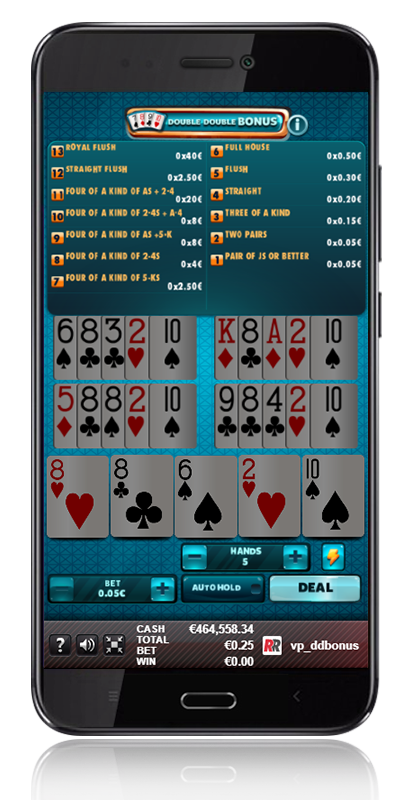 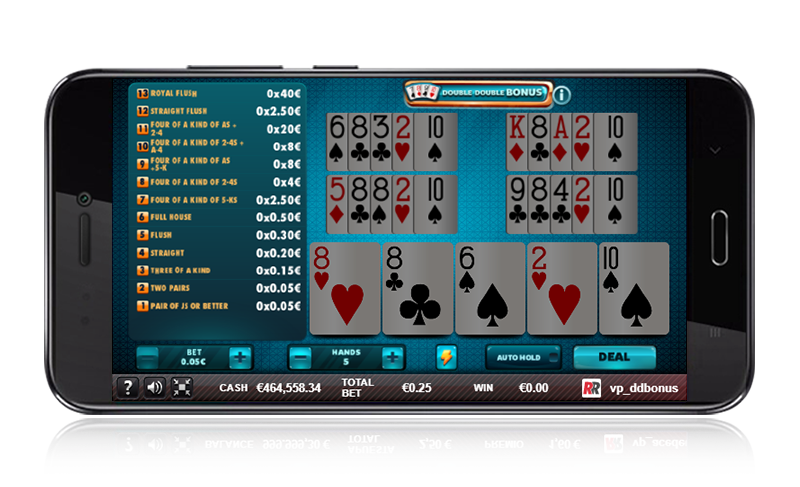 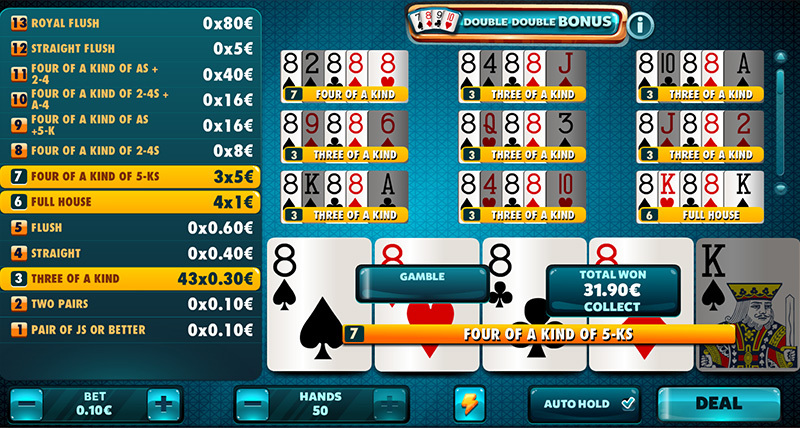 This time, the “Four of a Kind of Aces, 2s, 3s or 4s” has even greater prizes, provided that the free card is an “Ace, a 2, a 3 or a 4”. 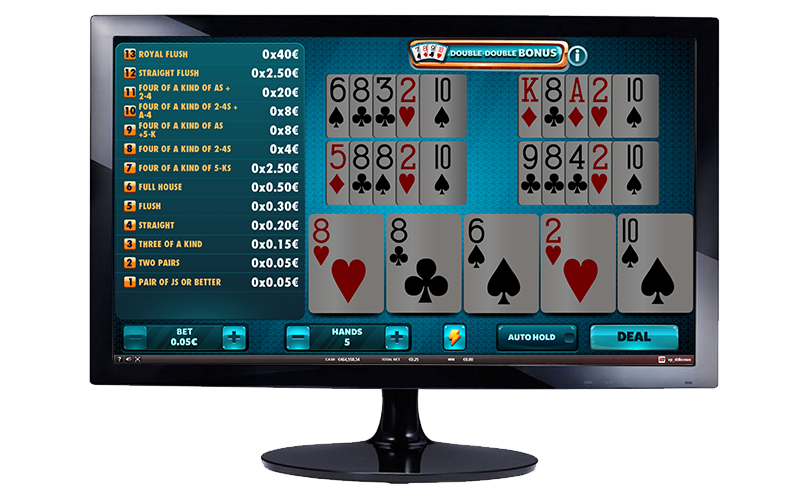 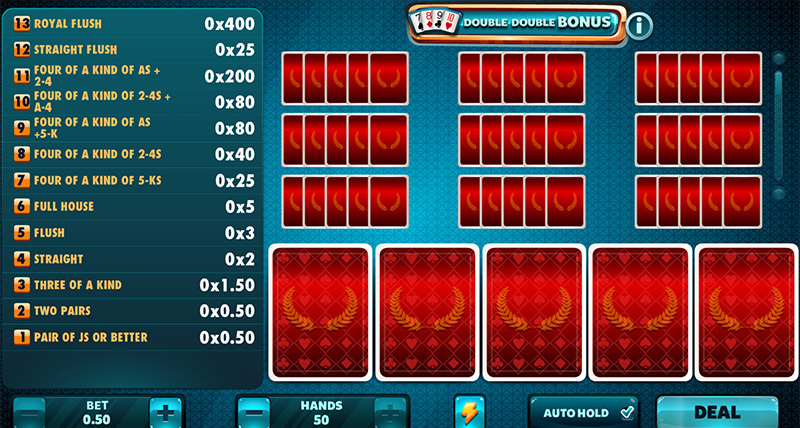 Double Double Bonus: Double your winnings with the winning combination. 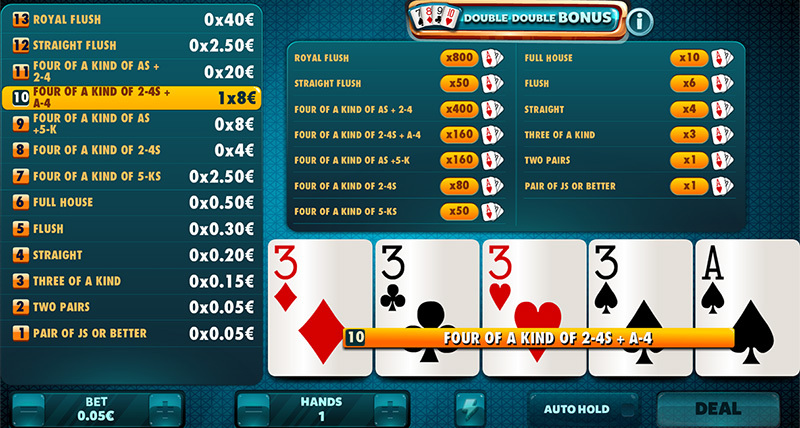 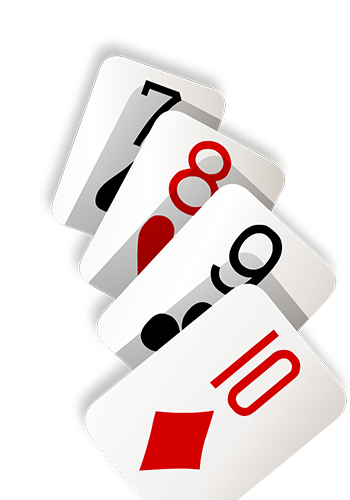 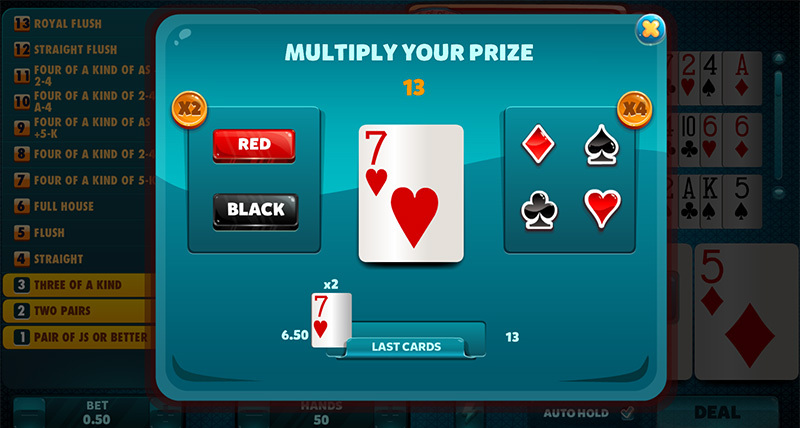 Double Double Bonus: Any hand equal to or higher than a pair of Js will have a prize.